With the holiday season coming up, here are some helpful recycling reminders. Aluminum foil and trays are recyclable. Along with aluminum cans, aluminum foil, trays and tins are accepted in your recycling cart. Just make sure that the aluminum items are mostly free of food. They do not need to be spotless; just wipe out most of the residue or give them a quick rinse. Every three months, Americans throw enough aluminum in the garbage to build our nation’s entire commercial air fleet. Steel and aluminum cans are easily recycled as other steel and aluminum products. This conserves mineral resources, and the recycling process uses 75 percent less energy than using virgin materials does. Recycled steel and aluminum finds its way into new cars, bikes, appliances, cookware and a whole lot more. You may place any extra recycling that doesn’t fit into your recycling cart next to the cart in cardboard boxes or paper bags. 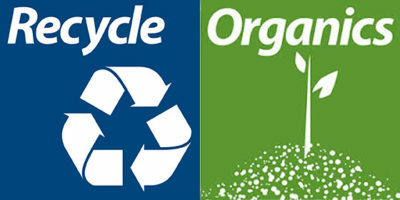 If you consistently have extra recycling, you can get another cart by calling 612-673-2917. There is no charge for additional recycling carts. Forty percent of food grown in the United States goes to waste, and most of this food waste happens in homes. One of the reasons is a fear of not having enough food to serve guests. Another reason is leftovers going to waste. Here are a few ideas to help everyone waste less this holiday season. Store your produce in the best way to maximize its freshness. For example, herbs in a glass of water like cut flowers will last longer. To save herbs for later, you can freeze them in ice cube trays with olive oil or butter poured on top. Take out a cube of rosemary and throw it in your turkey for Thanksgiving. Get an accurate headcount so you can plan your meals accordingly. Don’t overestimate the amount of food you’ll need. If you’re assigning dishes for people to bring, let them know the number of people they’ll be serving so they can plan accordingly too. Ask guests to bring their own containers to take leftovers home if you’re hosting. If you aren’t hosting, bring your own leftovers container with you. Make your centerpieces out of items that can be re-used and perhaps already have around your house or yard. For Thanksgiving, pine cones, acorns and leaves look great with different varieties of squash (and you can cook it up later).